Director Shane Black and studio 20th Century Fox are just two weeks away from unleashing The Predator, and they're pulling all the stops in the last promotional push for the film. On Friday, August 31, Fox unleashed the chaotic, ultra-gory, definitely R-rated final The Predator trailer. The footage features additional looks at Boyd Holbrook's Quinn McKenna, who discovers that Predators truly do exist but soon realizes that no one believes him; Trevante Rhodes' badass Nebraska Williams, who teams with Quinn to track down the massive monsters; Keegan-Michael Key's Coyle; and Alfie Allen's ex-Marine and Predator-hunter Lynch — the four main men who convince the Olivia Munn's disgruntled scientist Casey Bracket and a handful of other outsiders to join their cause. 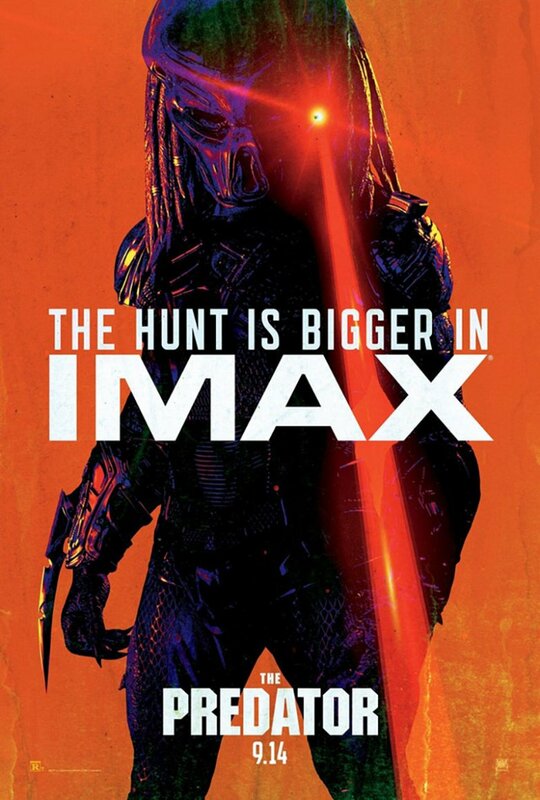 What's a heck of a lot more interesting than getting to know the characters of The Predator is meeting the titular beast and catching glimpses of what its capable of doing. After Holbrook's Quinn explains in the trailer that he had a run-in with an alien spaceship — which prompts Key's Coyle to exclaim, "This f***in' guy's crazier than the rest of us!" — the men witness an explosion and a super-sized Predator staring down a smaller Predator just outside the bus they're riding in. Thomas Jane's Baxley labels the creature an "alien" and Munn's Casey suggests that it's actually a "sports hunter," but Sterling K. Brown's agent Will Traeger reveals that he and his team officially named the blood-thirsty, flesh-hungry, likes-to-murder-for-fun killing machine "Predator." "Well, we took a vote. Predator's cooler, right?" Will asks in the clip. "F*** yeah." From there, the final trailer for The Predator spirals out into an F-bomb-sprinkled frenzy, with the "mental" team toting an assortment of weapons, weaving through forests, hopping on moving vehicles, infiltrating extraterrestrial ships, and firing their guns at the hulking Predators. Casey Bracket asks if the crew is insane, but they seem more than prepared to complete their mission — with bullets, brutality, and plenty of profane banter. When Fox debuted the first teaser for The Predator, not everyone was completely sold on Black's vision. Not long after, however, the studio debuted an official full-length trailer that looked infinitely better and converted plenty of naysayers. This last look at The Predator seems the best yet, leaving fans with something sweet to savor as they wait until the film launches in theaters on September 14.